West Ham United want Liverpool defender Nathaniel Clyne? West Ham United could move for Liverpool defender Nathaniel Clyne this summer, according to a report. Liverpool boss Jurgen Klopp will reportedly look to add a number of defenders to his squad during the summer transfer window. Sports Mole looks at how Liverpool could line up for their midweek Premier League clash against Newcastle United. The 27-year-old defender has joined the Cherries on loan. Liverpool are reportedly ready to join Manchester United and Real Madrid in the race to sign Porto defender Eder Militao. The Cherries have already brought in Dominic Solanke and Nathaniel Clyne. The England defender joined Bournemouth on Friday. Sports Mole previews Monday's FA Cup clash between Wolverhampton Wanderers and Liverpool, including predictions, team news and possible lineups. 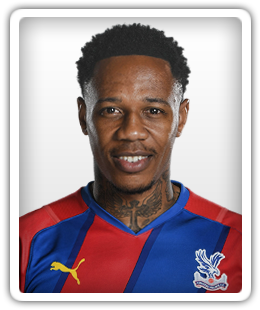 Nathaniel Clyne has also moved to the Vitality Stadium on loan. West Bromwich Albion ace Matt Phillips is wanted by Premier League strugglers Burnley and Cardiff City, according to a report. Cardiff boss is keen to add Liverpool's Clyne to his Cardiff squad. Cardiff City are winning the race to sign Liverpool defender Nathaniel Clyne on loan, according to a report. Ahead of Sunday's huge showdown between Liverpool and Manchester United at Anfield, Sports Mole looks at how the home side could line up. Sports Mole provides team news, predicted lineups and a full preview of Sunday's Premier League meeting between Liverpool and Manchester United. Sports Mole previews Tuesday's must-win Champions League clash between Liverpool and Napoli, including predictions, team news and head-to-head records. Sports Mole looks at how Liverpool could line up for their Premier League clash with Bournemouth at the Vitality Stadium on Saturday. A report claims that Fulham have moved ahead of Cardiff City in the race to sign Liverpool full-back Nathaniel Clyne. Cardiff City reportedly identify out-of-favour Liverpool full-back Nathaniel Clyne as a loan target during the January transfer window. Sports Mole previews Sunday's Premier League clash between unbeaten Liverpool and struggling Fulham, including predictions, team news and head-to-head records. Sports Mole previews Tuesday's Champions League Group C clash between Red Star Belgrade and Liverpool, including team news, predictions and head-to-head records. Nathaniel Clyne is a January transfer target for Liverpool's Premier League rivals Leicester City, according to a report. Ahead of Saturday's Premier League clash between Tottenham Hotspur and Liverpool, Sports Mole selects a combined XI from the two squads. A report suggests that Jurgen Klopp has appointed a dedicated 'throw-in coach' to work specifically with his full-backs and reduce mistakes from the set-piece play. Liverpool manager Jurgen Klopp insists that he will use his entire squad this season, despite naming an unchanged side for the opening three games of the campaign.